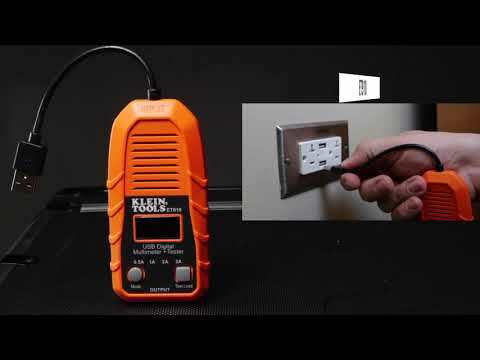 The Klein Tools ET900 is a USB digital meter for common standard USB-A (Type A) ports including Qualcomm Quick Charge® ports. It accurately and reliably measures and displays the USB port voltage, current, capacity, energy, and resistance simultaneously. It can function with any USB-A port that has the ability to deliver power. It requires NO batteries as it draws power from the power source to function.